Samsung has not ruled out using AMD chips in its laptops, but its netbook range will use Intel chips for the foreseeable future, according to the company's UK General Manager for mobile computing Phil Brown. Samsung has been one of the big success stories in the mobile computing sector in recent years, becoming a major player in the market. Speaking at a round-table event for journalists, Brown stated that, although the company had traditionally used Intel, that a small foray into AMD laptops could serve as a precursor to more use in the future. "Historically we were Intel, said Brown. "This year we had two products on the AMD platform…and whilst we never progressed that range any further, we have worked with AMD and could do so again in the future. "Our current range doesn't have AMD in it but that doesn't mean to say that AMD might not resurface on our products." In terms of the netbook division, Brown confirmed that there were no plans as yet to move away from the successful Atom processors from Intel. "At the moment Intel is our chosen partner for netbooks for the foreseeable future," he said. Samsung is hoping that its latest range of netbooks – the N-series – gives consumers a full range of choices in the small form-factor sector. 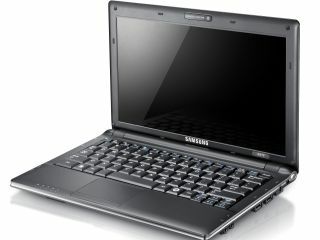 Brown believes that consumers do want choice for their netbooks, despite the limitations of the hardware. "Netbooks have caught the imagination of consumers in various different guises and by offering wide variety we've seen positive results, said Brown. "So we believe that consumers do want variety. Customers are asking for it and we're happy to deliver it. "We've always had smaller number of SKUs than some of our competitors and we think there is a clear differentiation through the range from the N130 to the N510."